This is a Avengers Epie trade paperback book review. 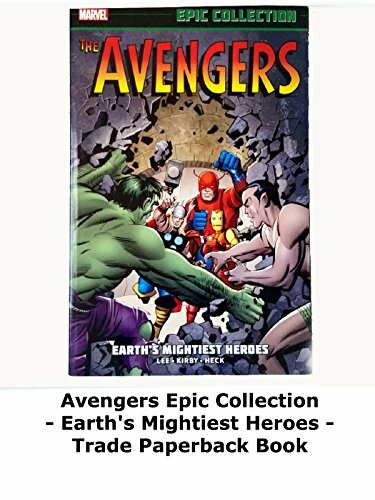 This is volume 1 and called "Earth's Mightiest Heroes" and contains the earliest issues from the Silver Age of Marvel Comics. It contains issues 1 to 20. The very first Avengers issues. The Avengers form, Captain America returns, Zemo, Kang and more. Writing by Stan Lee and art by Jack Kirby and Don Heck highly recommended.